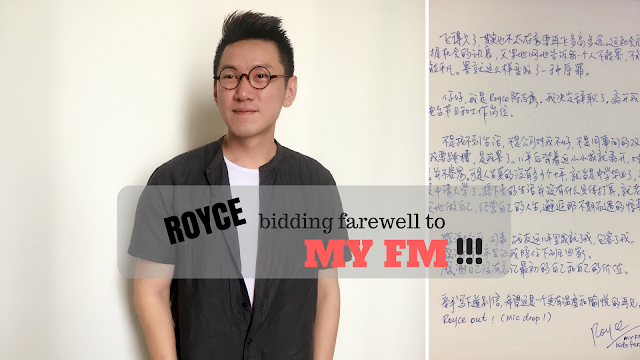 Kuala Lumpur, February 2017 – My FM Radio Announcer DJ Royce陈志康 will be bidding farewell to MY FM on the upcoming Friday 24th February 2017 after working for 11 years in MY FM. “MY FM啱Channel” next Friday would be his last session on air as he temporary leaves radio announcing world. He has written down a letter to all of his colleagues, friends and MY FM as he bids farewell. 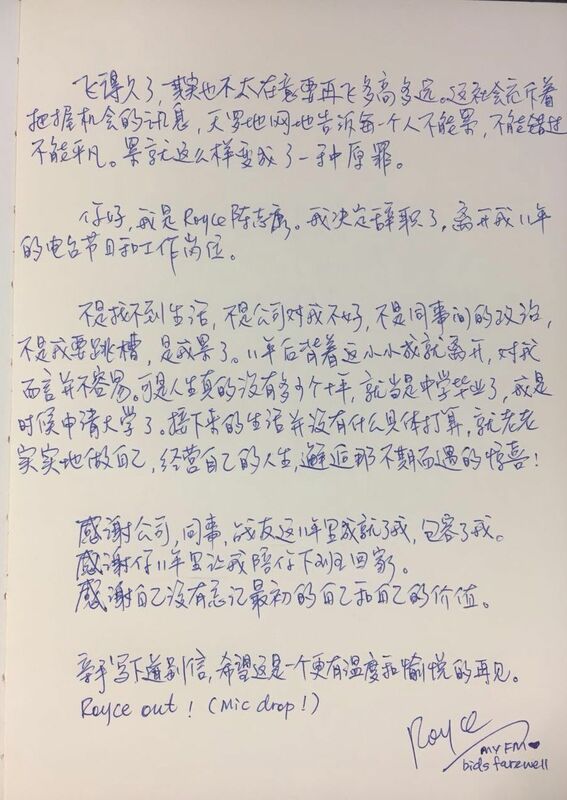 Royce陈志康 stated that the main reason for his farewell is not due to issues with colleagues or the company. He just feels like taking a break. Since 2006, he started working as a full time radio announcer in MY FM. From then onwards, he has been working for the past 11 years straight. 《MY FM啱Channel》on 24th February 2017 (Friday) 7-8pm will be his last hour working in MY FM before he leaves. In conjunction with that, the session will have an FB LIVE too. Do stay tuned to that if you like Royce’s radio announcing!